Pokhara is a remarkable place of natural beauty and the second largest city of Nepal. This is situated at an altitude of 827m above from sea level and 200km west of Kathmandu valley. This enchanting city has several beautiful lakes and offers stunning panoramic views of Himalayan peaks. 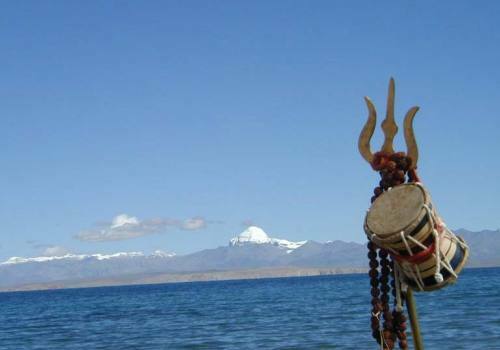 The serenity of lakes and the magnificence of the Himalayas rising behind them create an ambience of peace and magic. This valley is the most famous trekking starting gateway for world famous trekking areas such as to Fishtail, Annapurna and Dhaulagiri area and for rafting destinations. Pokhara is accessible by road as well as by air from Kathmandu. It takes 6-7 hours by road and 30 minutes by air from Kathmandu. Due to pleasant climate and good accessibility, Pokhara is enjoyable throughout the year. kingdom, roughly measuring 1.5 km by 4 km, is the center of all attractions in Pokhara. The enchanting lake is an idyllic playground. Brightly painted wooden boats and sailboats can be rented on reasonable cost around lakeside. The lake is neither deep (roughly 47 meters at most) nor particulary clean, but the water is warm and swimming is pleasant if you don't think about the probable pollution. Flowing right through the city, the boisterous river runs completely underground at places. Amazingly, at certain points the river appears hardly two meters wide. But its depth is quite beyond imagination - over 20 meters! Mahendra Pul, a small bridge near the old Mission Hospital, provides a perfect view of the river's dreadful rush and the deep gorge made by its powerful flow. Locally known as Patale Chhango (Hell's Fall), Devi's fall (also known as Devin's or David's) is an awesome waterfall lying about 2 km south-west of Pokhara airport on the highway to Tansen. An interesting modern legend says that a foreigner named David was skinnydipping in the Pardi Khola (river) when the floodgates of the dam were opened, sweeping him into an underground passage beneath the fall, never to be seen again. 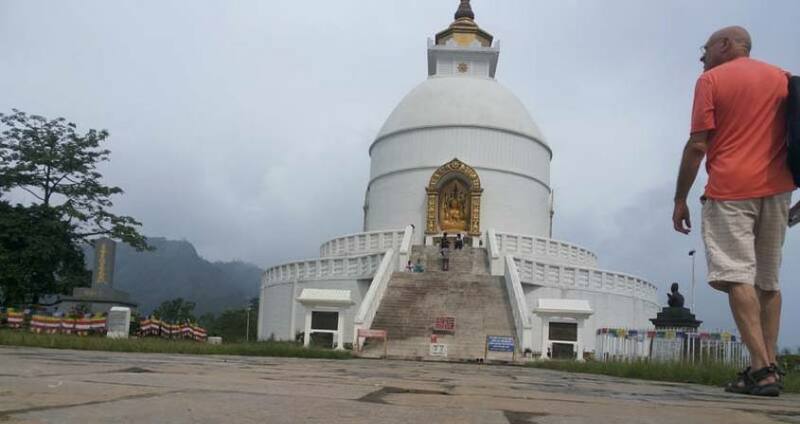 Gupteswar Gupha, a sacred cave, lies 2 km from Pokhara airport on the Siddhartha Highway leading southwest from the city. The entrance is right across from Devi's Fall and the cave is almost 3 km long. It has some big hall-size rooms and some passages where you have to crawl on all fours. This cave holds special value for Hindus since a phallic symbol of Lord Shiva is preserved here in the condition it was discovered. An entrance fee of Rs. 5 is charged and taking pictures inside the cave is prohibited. Pokhara's traditional bazaar is colorful and so are its ethnically diverse traders. In its temples and monuments can be seen ties to the Newar architecture of the Kathmandu Valley. Located about 4 km from Lakeside, the market's original charm is alive and well. Bindhyabasini temple is the center of religious activity in the old bazaar. It is dedicated to goddess Bhagwati, yet another manifestation of shakti. Worshippers flock here to perform sacrifices, and especially on Saturdays the parklike grounds take on a festive fair. The magnificent Annapurna panorama that's visible on the northern skyline of Pokhara is quite incredible. The main peaks are Annapurna I to IV and the beautiful Machhapuchhare (or Fishtail Mountaian, so named after its twin peaks). Besides these, you can also see the Himchuli, Varahashikhar, Gangapurna and other peaks. The mountains will probably be hidden in the clouds between April and September. A nice evening on the banks of Fewa Lake with the mountain range as the backdrop is what Pokhara is really about! Day 01:7.30AM Drive to World Peace Stupa tour. 09.00AM Tour to Gupteshwor Cave and Davis falls 11.30AM Lunch at Lakeside 12.15PM Drive to Bindyabasini Temple tour 1.15PM Tour to Mahendra Cave 2.30PM Boating at Fewa Lake 4.30PM Back to your Hotel. Day 17.30AM Drive to World Peace Stupa tour. 09.00AM Tour to Gupteshwor Cave and Davis falls 11.30AM Lunch at Lakeside 12.15PM Drive to Bindyabasini Temple tour 1.15PM Tour to Mahendra Cave 2.30PM Boating at Fewa Lake 4.30PM Back to your Hotel.